APS Fellow Marita Rohr Inglehart was on the University of Michigan psychology faculty 26 years ago when she was asked to teach a behavioral science course in the university’s School of Dentistry. That led to a research focus on psychosocial and behavioral factors in oral health, and today, Inglehart is a tenured professor in the dental school. Inglehart is among a distinct group of APS members who have faculty appointments in departments or schools of computer science, music, physics, and other disciplines not obviously associated with the field of psychological science. Roughly 14% of APS members working in academia are doing so in departments other than psychology, behavioral sciences, social sciences, and the like, an Observer analysis shows. The largest chunk of those members (35%) work in schools of business, management, and marketing, and another 27% are in medical or dental schools. The rest are distributed across disciplines such as computer science, communication, education, law, linguistics, public health, political science, and others. Some of the assignments should seem logical: Business schools have long been filled with industrial/organizational psychological scientists, and medical schools have increasingly incorporated behavioral curricula into their programs. But other appointments may appear highly counterintuitive — there are psychological scientists in schools of hotel management, optometry, zoology, engineering, music, housing and urban research, international relations, fashion, nutrition, and physics. 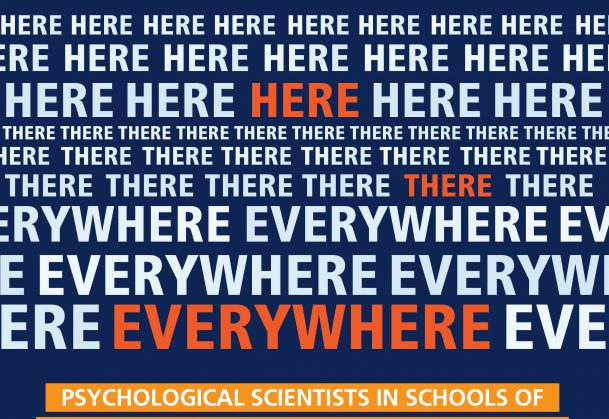 In this series, psychological researchers discuss their unconventional academic career paths and the scientific perspectives they bring to colleagues and students.